Blonde or brown hair, tie or casual style - what kind of guy do you like? In this fun girl game chance decides your fate. Tap at the right moment and create a cute boyfriend just by pressing a button! Endless combinations are possible, will you find your Prince Charming? 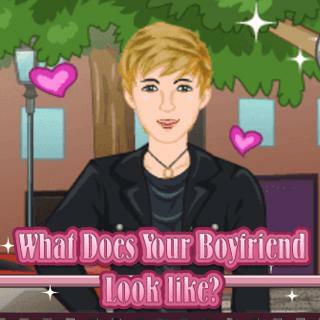 What Does Your Boyfriend Look Like - Find What Does Your Boyfriend Look Like in our vast HTML5 games catalogue. Only the best and newest HTML5 games for all audiences. Guaranteed success with Famobi.